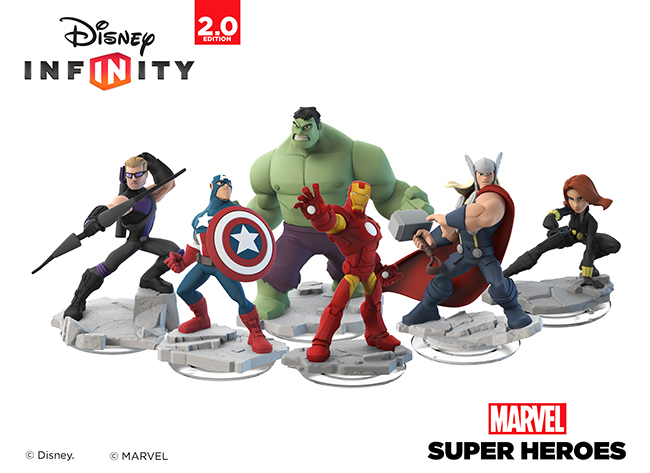 Your Marvel Super Hero lover is going to flip over Disney Interactive and Marvel Entertainment’s announcement that the world’s iconic Super Heroes are coming to Disney Infinity this Fall! 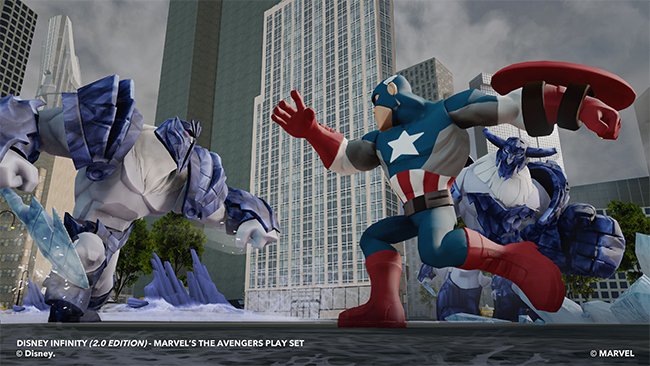 Yes, Disney Infinity: Marvel Super Heroes – the 2.0 edition will join one of the #1 best-selling new video games of 2013. Disney Infinity: Marvel Super Heroes will feature more than 20 new interactive figures from across the Marvel universe. It’s all-new Toy Box mode will make it easier for players to create and share their one-of-a-kind levels and mini-games with family and friends. In addition, all characters and power discs from last year’s release of Disney Infinity will be compatible with the Disney Infinity: Marvel Super Heroes Toy Box. The Avengers’ Iron Man, Black Widow, Thor, Captain America, Hulk and Hawkeye will debut when the game launches this fall, along with additional Play Sets and characters from other popular Marvel and Disney franchises, which will be announced in the coming months. Disney Infinity: Marvel Super Heroes will be available for the PlayStation®4 and PlayStation®3, Xbox One and Xbox 360, the WiiU™ system from Nintendo, PC and iOS tablets and smart phones. Marvel will be introducing many new features into Disney Infinity: Super Heroes such as new character actions such as flyings and super jumps, deeper immersive story lines, new combat gameplay, more destruction in game worlds, authentic Marvel gadgets and vehicles in Play Sets and Toy Box. Enhanced Toy Box – It’s all-new Toy Box mode will make it easier for players to create and share their one-of-a-kind levels and mini-games with family and friends. You can use a new Creator tool to quickly build worlds faster and easier. Toy Box Game Discs – New pyramid shaped discs will deliver structured, franchise-themed games to the Toy Box. Build and customize your games by using Toy Box Toys of your choice and play through each game using any Disney Infinity character to complete missions. Forward Compatability – All of your current Disney Infinity figures, toys and power discs will be compatible with the Disney Infinity: Marvel Super Heroes Toy Box. The Disney Infinity characters will be able to increase their level cap from level 15 to 20 and skills can used in the game using the Disney Infinity: Marvel Super Heroes skill tree. Power Discs – A new set of circular and hexagonal Power Discs will be available for Disney Infinity: Marvel Super Heroes. The circular discs will add costumes, Area of Effect attacks and team-ups, and the hexagonal power discs will add new weapons, vehicles and sky and terrain customizations. 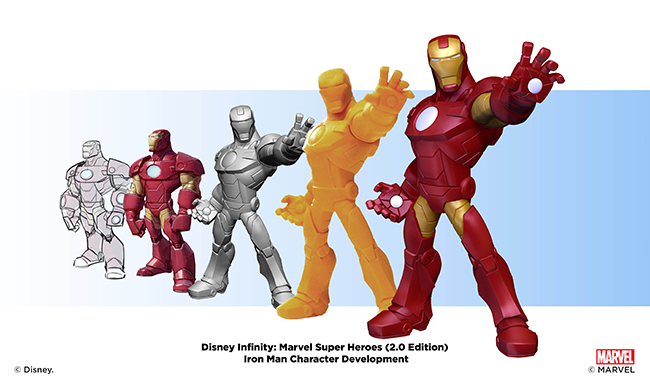 What will come in the Disney Infinity: Marvel Super Heroes 2.0 edition Video Starter Pack? 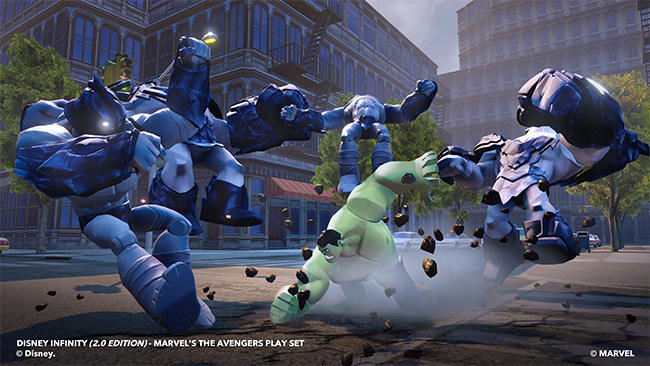 Check out the Disney Infinity: Marvel Super Heroes video game trailer….